The science gives the answer Yes!! It is possible. Even the Scientists say "Faith in God can relieve pain". We all need a daily dose of inspiration and motivation to get us pumped up for the day ahead and whatever tasks we have set ourselves, and usually, we are able to motivate ourselves. After all, nobody knows when and what buzz your mind. Even, a single line, word or thoughts have the ability to change thinking and life positively. Bhagavad Gita inspiring people from a long time. Not only a common man, but also the successful person in their field everyone face demotivated moment. And, at that positive thinking level down moment, he/she needs Inspiration to wake up again. The bhagwad gita quotes feeds positive thinking to the human brain for dare to fight against unwanted situations. However, you know those times when you are mentally exhausted and tend to sink back into procrastination and laziness, not because you want to, but because you are just too tired to do anything else. Those are the times when we need motivation and focus from a source other than ourselves that is where famous motivation quotes come in. Similarly, few people including students, businessmen, and professionals say Yes!!! They feel positive changes after listen/reading and following thoughts of Bhagwat Gita. It is better to perform one’s own duties imperfectly than to master the duties of another. No one should abandon duties because he sees defects in them. Every action, every activity is surrounded by defects as a fire is surrounded by smoke. Those who have conquered themselves…live in peace, alike in cold and heat, pleasure and pain, praise and blame…To such people a cloud of dirt, a stone, and gold are the same…Because they are impartial, they rise to great heights. When meditation is mastered, the mind is unwavering, like the flame of a lamp in a windless place. When a person is devoted to something with complete faith, I unify his faith in that. Then, when his faith his completely unified, he gains the object of his devotion. It is Nature that causes all movement. Deluded by the ego, the fool harbors the perception that says “I did it”. He is the source of light in all luminous objects. He is beyond the darkness of matter and is un-manifested. He is knowledge, He is the object of knowledge, and He is the goal of knowledge. He is situated in everyone’s heart. The offering of wisdom is better than any material offering. Those who are motivated only by desire for the fruits of action are miserable, for they are constantly anxious about the results of what they do. Actions do not cling to me because I’m not attached to their results. Those who understand this and practice it live in freedom. The wise work for the welfare of the world, without thought for themselves. Pleasures conceived in the world of the senses have a beginning and an end and give birth to misery. Even if you were the most sinful of sinners, you could cross beyond all sin by the raft of spiritual wisdom. Better indeed is knowledge than mechanical practice. Better than knowledge is meditation. If you want to see the brave, look to those who can return love for hatred. If you want to see heroic, look to those who can forgive. The immature think that ‘knowledge’ and ‘action’ are different, but wise them as the same. When you move amidst the world of sense, free from attachment and aversion alike, there comes the peace in which all sorrows end, and you live in the wisdom of the Self. He alone sees truly who sees the Lord the same in every creature…seeing the same Lord everywhere, he does not harm himself or others. Why do you worry unnecessarily? Whom do you fear? Who can kill you? The soul is neither born nor dies. Whatever happened was good, what’s happening, it’s going well, whatever will happen, will also be good. You need not have any regrets from the past. Do not worry for the future. Live in the present. Pleasure from the senses seems like nectar at first, but it is bitter as poison in the end. The ignorant work for their own profit, Arjuna; The wise work for the welfare of the world, without thought for themselves. Actions do not cling to me because I am not attached to their results. Those who understand this and practice it live in freedom. The wise see that there is action in the midst of inaction and inaction in the midst of action. Their consciousness is unified, and every act is done with complete awareness. We all fall down on occasion, that's life, nevertheless, we still need a pick-me-up or a burst of inspiration to get us on our feet and back on track; unfortunately our families and friends can't always be there for us to give us the pep-talk or advice we need. So where do we turn? Simple, we turn to famous motivation quotes from people who have been through it all and come out the other side unscathed, smiling, and successful. Why are quotes so effective at instilling inspiration? In my opinion, it is because the people who wrote them were achievers, doers and innovators and didn’t just talk about taking action or procrastinates as so many people do; they got out there and followed through with passionate, deliberate action! Just as this quote by an unknown author states: "The words we say will teach if we practice what we preach." 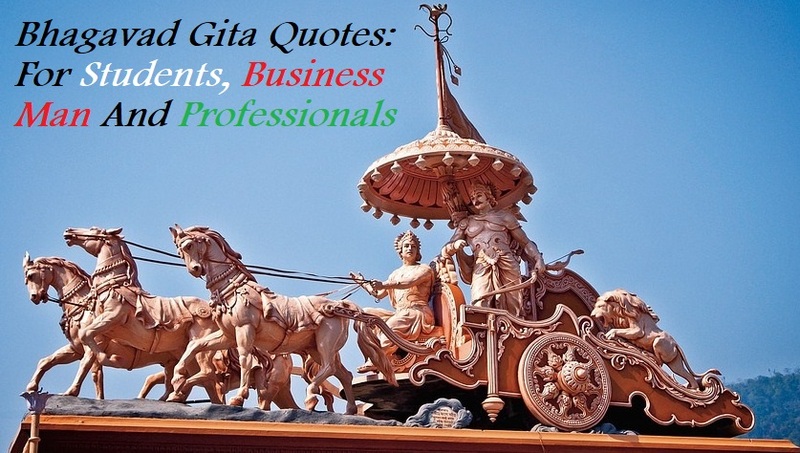 These are few Bhagavad gita quotes, which are inspirational for students, Girls or Boys, Business men, employee, and for all. Anybody can take benefits by follow these quotes heartily with faith. Very, Nice collection, I'm CCS University Student, and as a student these quotes defiantly boost my positivist for life and education. 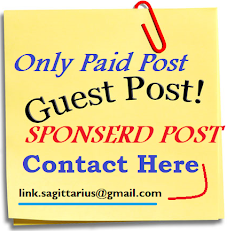 It is strongly recommended read CCS University Blog also if you need to grow.